On my recent 12-day trip to Germany, I decided to try an experiment. 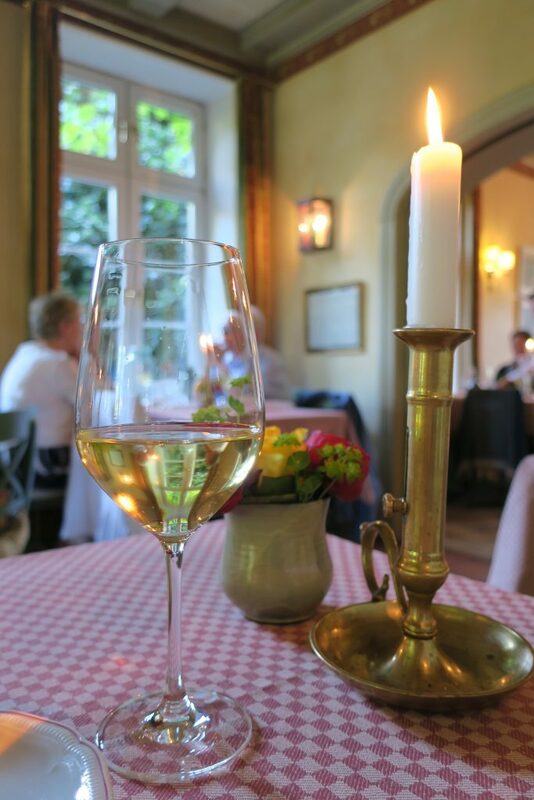 Would I be able to have high-quality German wine(s) every night with dinner — and sometimes with lunch — and never drink a single Riesling? One could be forgiven for thinking that such an experiment was misguided at best, or quite simply impossible. I suspect that few casual wine consumers can name a single other top grape variety grown in Germany off the top of their heads. For better or worse, Germany and Riesling are inextricably linked. 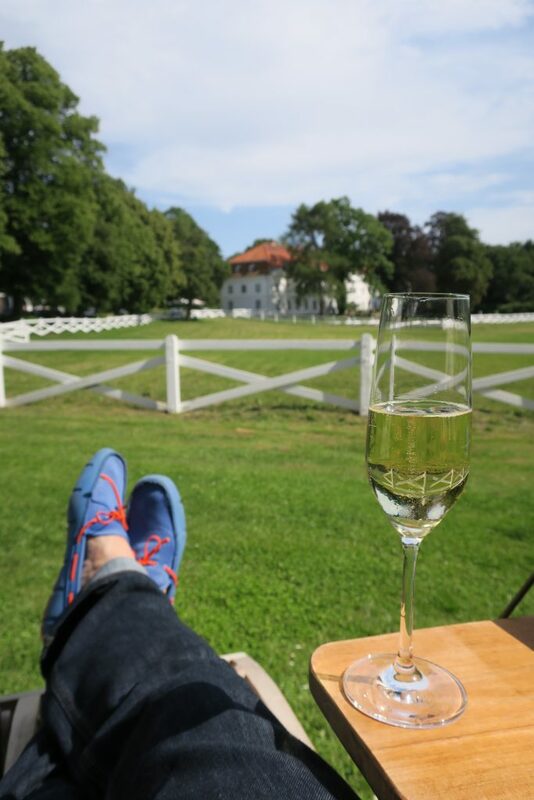 But Germany has far more to offer than beautiful Rieslings. Any guesses as to how much vineyard area in the country is devoted to other grapes? Maybe 20%? Maybe 40%? 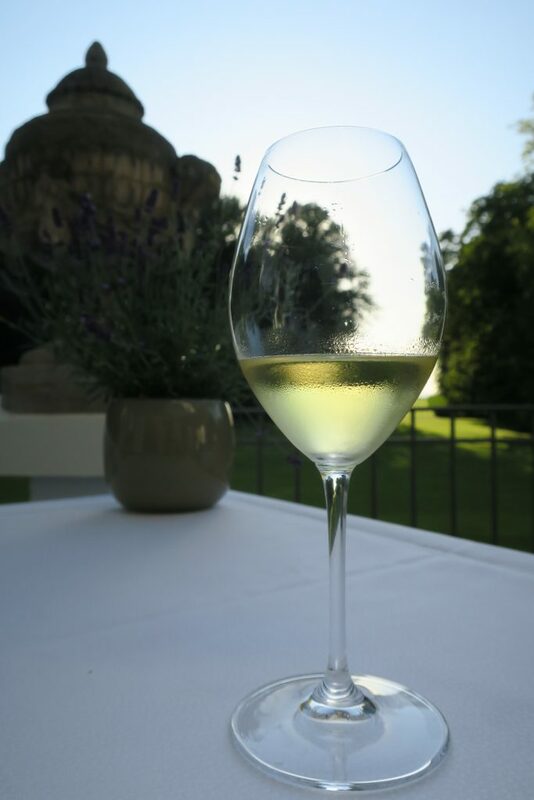 In fact, Riesling composes just 23% of Germany’s vineyards as of 2013, according to The Oxford Companion to Wine. Second place goes to the unglamorous but productive Müller-Thurgau at 13%, followed by Spätburgunder (Pinot Noir) at 12% and Dornfelder at 8%. Indeed, red wine grapes represent a whopping 36% of Germany’s vineyards. I love well-made Riesling, both sweet and bone-dry, but it’s time to give the other 77% of German wines some attention. Here are some of the discoveries I made. This less-expensive example had a spicy aroma marked with a note of burnt popcorn. Its lively acids worked well with food, and I very much enjoyed its clean pear fruit, green peppercorn spice and dry finish. 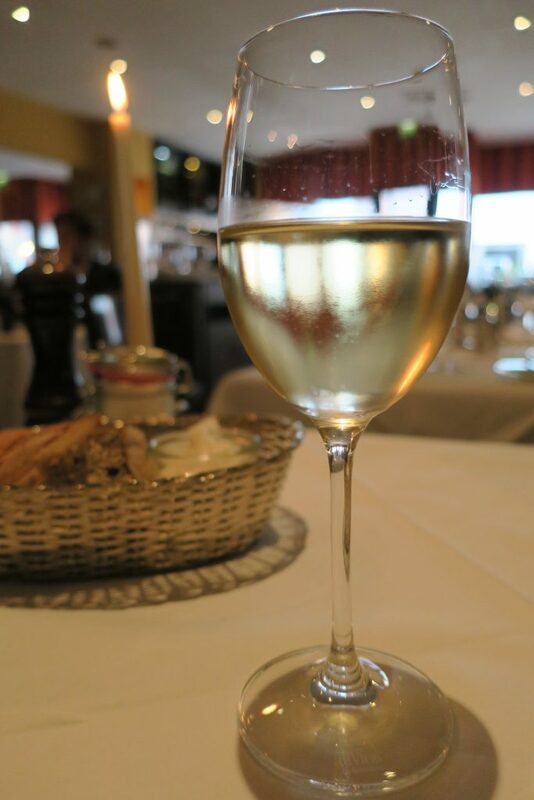 Later at Heldenplatz, a restaurant in central Hamburg, I tried Dreissigacker’s top Weissburgunder, called “Einzigacker.” Wow. 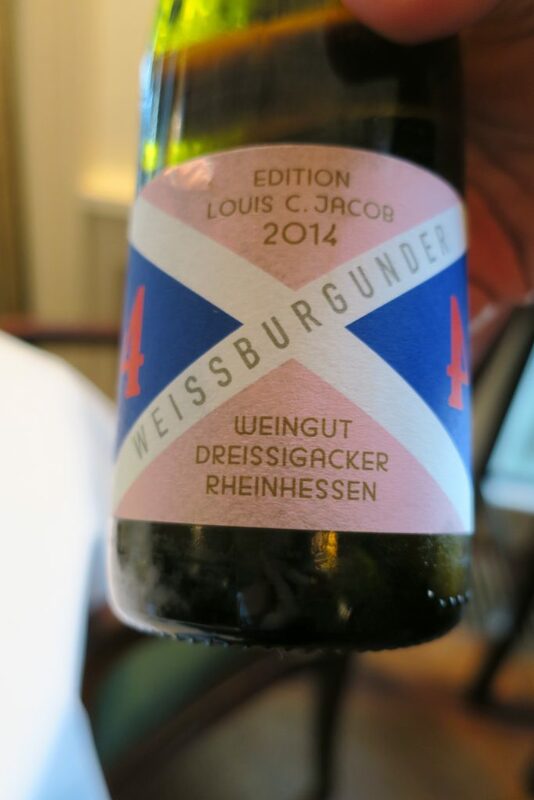 It tasted rich, balanced, focused and elegant, truly earning the name Weissburgunder, which literally translates as “white Burgundy.” Sublime. The Franz Keller Weissburgunder (pictured with the Dreissigacker above) is more expensive than the Louis C. Jacob Dreissigacker, but its quality is unimpeachable. The aroma was more buttered popcorn, and though the lively acids were here too, they felt more refined and more focused. The arc of polished spice lasted ages. From the start to the lengthy finish, the wine developed and built with gradual determination. Oo, I love when that happens. The total vineyard area of this grape has increased 90% in Germany since 2000, “[making] it the country’s fourth most planted white wine grape and far more popular than Weissburgunder (Pinot Blanc),” according to The Oxford Companion. I can understand why people love Grauburgunder, which typically has ample fruit and zesty spice, but my heart remains with Weissburgunder. Even so, many dishes call for a spicier wine, and Grauburgunder can stand up to all sorts of recipes. 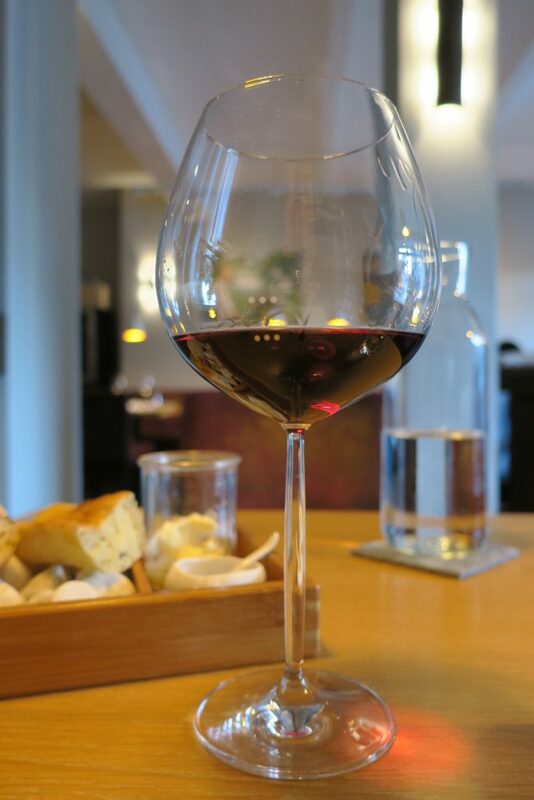 In the cozy bistro restaurant of Ole Liese near Germany’s Baltic Coast, I paired this Grauburgunder with a rich cod appetizer. It had a melony, spicy aroma, and flavors of ripe apple and honeydew. Peppery spice kept things well in balance, and the wine finished clean and dry. Back in Hamburg at traditional Casse Croute, the Bercher Grauburgunder had a more citrusy aroma along with the telltale spicy note. It tasted mouthwateringly juicy, with almost prickly lemon-lime acids, reminding me of a full-bodied Sauvignon Blanc. Just the thing to pair with some veal-and-black truffle Labskaus. In the first half of the 20th century, this variety was the most widely planted in Germany, but after World War II, it was overtaken by Müller-Thurgau and now, Riesling. I remember drinking a few Silvaners when I lived in Germany in the late 90s, and I don’t have fond memories of the stuff. It probably didn’t help matters that the bottles I bought cost less than $5. I know this, because all the bottles I bought that year in Germany cost less than $5. 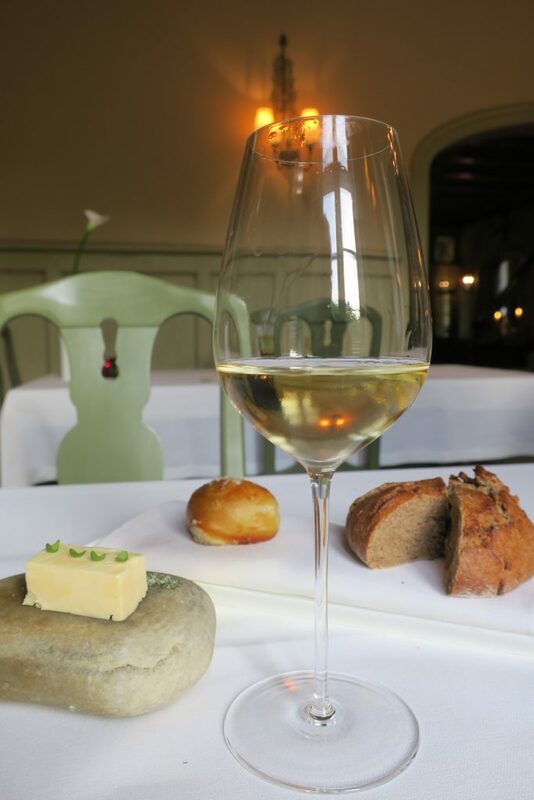 The Oxford Companion to Wine gives the grape tepid praise, calling it a “suitable neutral canvas” on which to display terroir, and noting that “encouraging examples” can be found. So don’t buy just any Silvaner you come across. The sommelier of Michelin-starred Courtier recommended this Silvaner to me, and I have to think it’s one of the best out there. It’s got a mouthful of a name, and it certainly worked well with food. The wine had a slightly burnt, spicy aroma, and its most notable characteristic was its big, lemony acids. Unexpectedly, the finish went on and on. 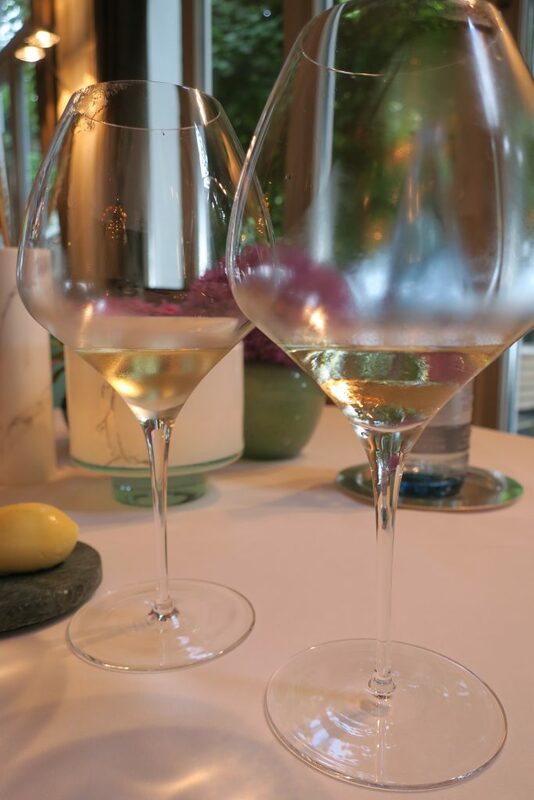 If you like juicy Sauvignon Blancs — or zippy Grüner Veltliners — a well-made Silvaner should be on your list. This little-known grape is the “non-aromatic version of Gewürztraminer,” according to The Oxford Companion, and “it can produce more substantial wines than many a Sauvignon Blanc.” I’ve tasted a few of these over the years, and I can’t recall a single disappointment. Should you encounter a bottle, particularly the bottle below, I highly recommend snapping it up. For a “non-aromatic” grape, this wine certainly had an enticingly spicy and buttery nose. Ripe pear flavor moved to butter and taut spice, as the wine sharpened to a point. Rich but amply balanced, and tense with excitement. I loved it. Like just about anywhere with red wine grape vines, Germany also makes rosé. I had a couple of charming examples, including the one below. 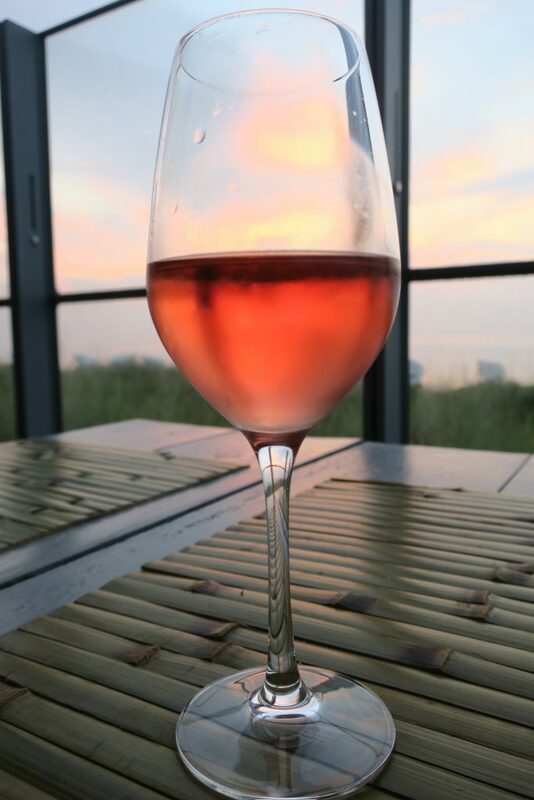 A blend of 90% Spätburgunder, 5% Merlot and 5% Dornfelder, this rosé was ideal for my beachside seafood dinner at Bootshaus. Its spicy, watermelon-candy aroma sucked me right in. I loved its ripe watermelon fruit (and yes, the touch of strawberry), lively limey acids and clean, dry finish. Simple, refreshing and delicious. It’s not just Burgundy, New Zealand and Oregon that make superlative Pinot Noir. 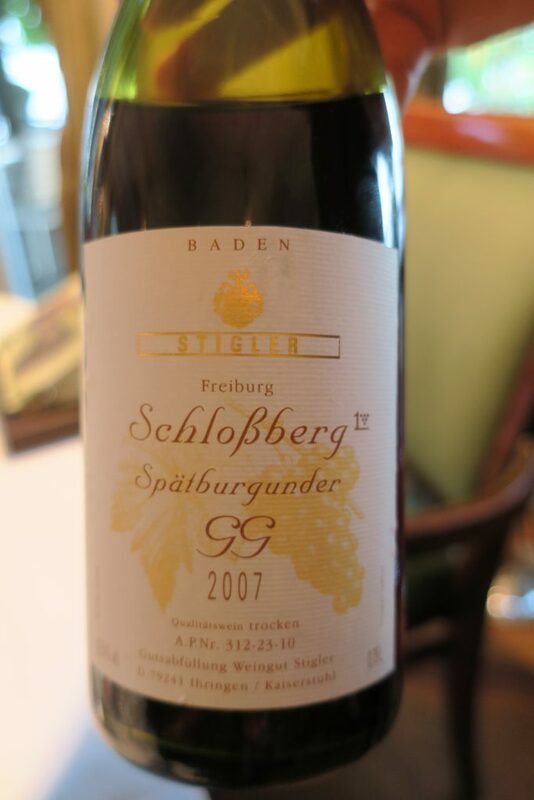 Germany’s Spätburgunder can achieve sublime clarity of fruit and refinement of spice, and sometimes even some richness. But don’t just take my word for it. According to The Oxford Companion to Wine, “Today [Spätburgunder] is at least as deep coloured, dry, alcoholic, and well structured as red burgundy…”. Because of Spätburgunder’s popularity within Germany, all too little is exported. This Spätburgunder had a wonderful aroma of spiced dark cherries, and flavors of dark cherries and cough syrup. Light-bodied but not a lightweight, this wine held its focus for quite some time, with polished spice serving as a backbone. Superb with some Poltinger lamb at Hamburg’s Heldenplatz restaurant. The “GG” stands for “Grosses Gewächs,” indicating that this wine comes from a vineyard classified as a “Great Growth,” or “Grand Cru,” one could say. There was no way for me to resist this wine, made as it was in Freiburg from a vineyard on the Schlossberg. I spent many happy evenings at the beer garden on top of the steep Schlossberg hill when I was a student in Freiburg, and I remember seeing the vineyards there, rising from the edge of the exquisite old center. Considering my heavy nostalgia, the wine could have easily let me down, but it did not disappoint. It smelled of dark cherries, with a savory/meaty undertone. It started quite light — it seemed like nothing at first — but dark cherry fruit firmed up, and white pepper spice focused the wine into a laser. With time in the glass, it became richer and earthier. When I tried this beautiful wine, it brought me to tears for a moment. I never drank a wine like this when I lived in Freiburg, but it took me right back there all the same. For more about unusual German wines, read about tasting Elbing, Goldriesling and Weissburgunder with German royalty here, and discovering the delights of Kerner here.